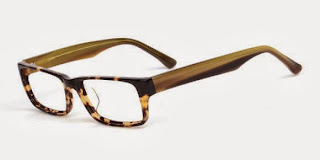 I love Firmoo eyeglasses but not only do they prescription eyewear they also have sunglasses, computer glasses, reading glasses, and also fashion glasses non prescription. Them are the ones I was able to review so I choose the retro-styled frame even though I wear regular glasses I thought this would be cute to get these just for fashion reasons and on top of that they are super cute. These glasses are non prescription. Sorry for the photo being so dark. I had my daughter take the photo and I guess the lighting was bad. But I really do love these glasses and the way they fit they were super comfortable. This retro-styled frame of serious and scripted design is gorgeously sculpted and made from high-qualified acetate, and the medium sized rectangular lenses are specially designed for both single and progressive vision needs. The tailored arms of smooth surface are metal based for better durability and super comfort. Disclaimer: I was sent products for free to review for my honest opinion, from either a PR agency or a company. Regardless, I only recommend products or services I use personally and believe will be good for my readers. Your opinions may vary from my opinions.